To celebrate the release of Baaba Maal's new album 'Television', Point Blank has teamed up with Palm Pictures and Giant Step to find a new, fresh remix of his high-energy track 'International'. 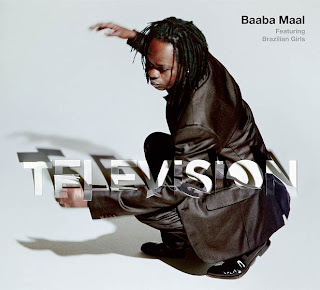 The album is a collaboration with New York’s Brazilian Girls, who helped Baaba blend West African musical traditions with electronic dance music. Your challenge is to keep this spirit of experimentation and fusion alive and create an innovative remix. The winning entry will be selected by the legend of the world music scene himself and the remix will be released on his official website. The closing date for entries is October 22nd 2009 so you'd better get mixing soon... Good luck!